When you have a simple dental problem such as a chipped or broken tooth or a lost filing, restorative solutions such as bonding, a replacement filling, or a crown will usually solve your problem. However, for many patients in our fair city, dental problems will arise that are not easy to pinpoint and in those cases complex restorative dentistry in New York City is required. Unfortunately, many patients suffer from a plethora of dental problems stemming from such things as advanced gum disease, trauma, inadequate dental care, poor dental care, or even no dental care at all. When these patients finally get proper and comprehensive care (as opposed to emergency pain relief) a careful and thoughtful approach is necessary to fully understand the problem or problems before offering an appropriate solution. From the restoration (replacement) of a single severely damaged tooth to a full mouth reconstruction in which all teeth in the mouth are involved, the approach I use to treat complicated dental problems falls under the heading of complex restorative dentistry. You probably know someone (or you are one yourself) who has complained about a dental problem for years. The problem never seems to be resolved despite many visits to the dentist over long periods of time. In my many years of experience, in such recalcitrant cases, an underlying problem or contributing co-factor exists that has never been identified…and thus never resolved. In these cases only the proper diagnosis is will lead to a successful outcome. It’s important to not under-treat the problem (at the risk of not resolving the issue) or over-treat the problem, which will subject the patient to excessive care. When it comes to dental treatment for complex problems, I never use a one-size fits all approach. I believe that proper dental treatment is treatment that is proper for the individual sitting in my dental chair. By looking for and discovering the underlying reasons for a patient’s complicated dental problems I can restore his or her mouth to a state of full function and stability. Function and stability that will last not for just a few months, but for many years to come…and often even a lifetime. 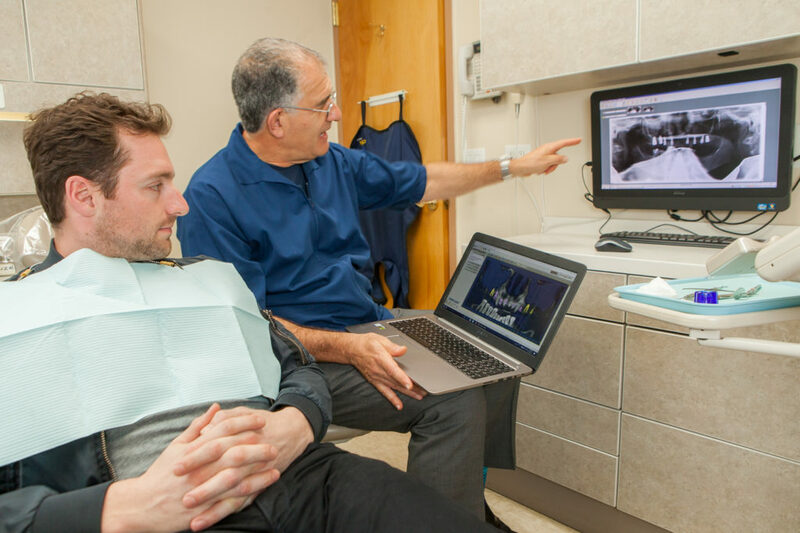 Complex restorative dentistry in New York City requires specific skills honed over time, discerning diagnostic assessments, and a precise, focused treatment approach. If you suffer from multiple dental problems or a dental situation that simply has not resolved, feel free to call 212-685-3040 for a consultation.